Vendée Sani Therm (VST) is a major tradesmen co-op in France that was founded in 1976 and whose objective is to improve distribution to the benefit its members. The co-op will install Moviracks mobile pallet racks to support and encourage its growth, as well as pallet racks in its new logistics centre located in Les Essarts. The majority of the warehouse will be filled with three blocks of Movirack pallet racks that are 6.5 m high and have 3, 4 or 5 shelf levels, depending on the height of the goods. This compact storage system, with a capacity to hold more than 6,300 pallets, will mean the co-op fully optimises the warehouse surface. 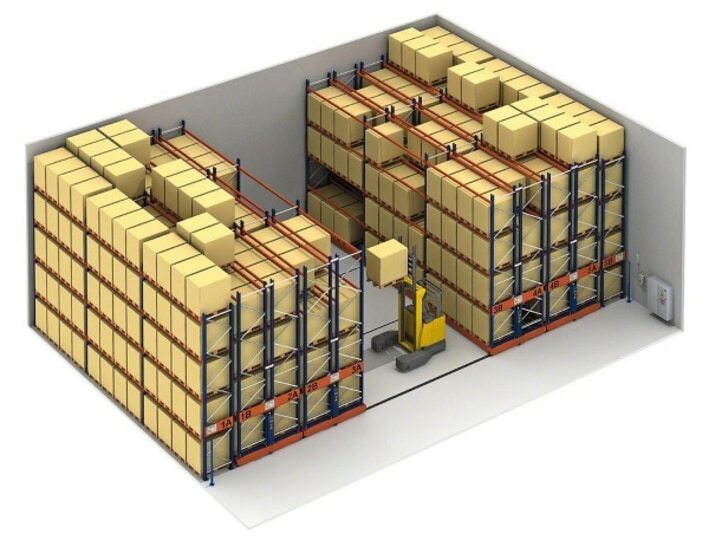 Plus, Longspan shelving for picking for small-sized products and racks to hold 256 pallets of bulky goods. With more than 670 co-op members and more than 40 years of experience, VST backs and supports the business activity of welders, heating technicians, electricians, contractors and roof-layers. At present, it employs 330 people and has 30,000 SKUs stored in 50,000 m2 of storage area, both indoors and outdoors.